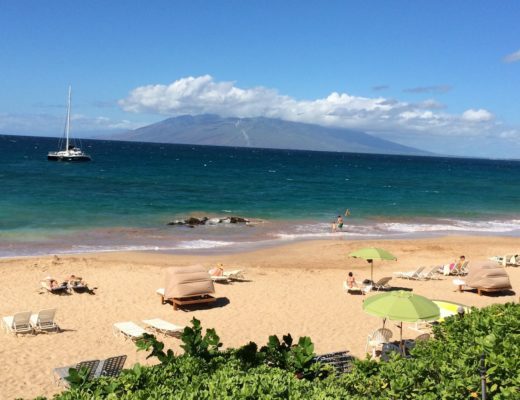 Napili Kai Beach Resort, Maui Hotel Review by The Hawaii Admirer. 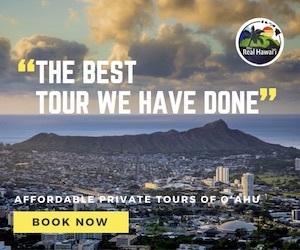 I stumbled across Napili Kai Beach Resort while surfing the net, the website instantly drew me in with its stunning aerial videography. My jaw dropped when I saw its beautiful sandy bay, see-through emerald waters and lush tropical surroundings. 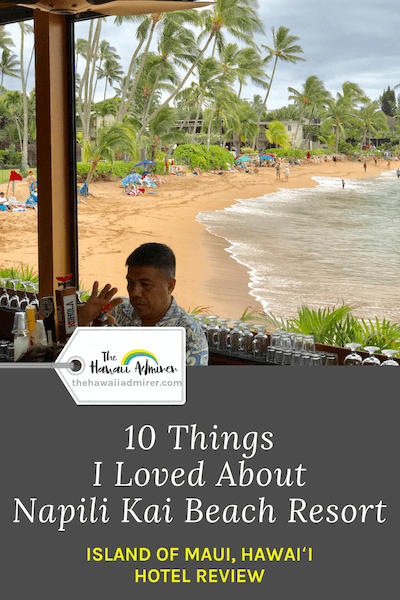 I’d travelled to Maui numerous times but never to Napili, a region tucked away on the islands north-west coast. 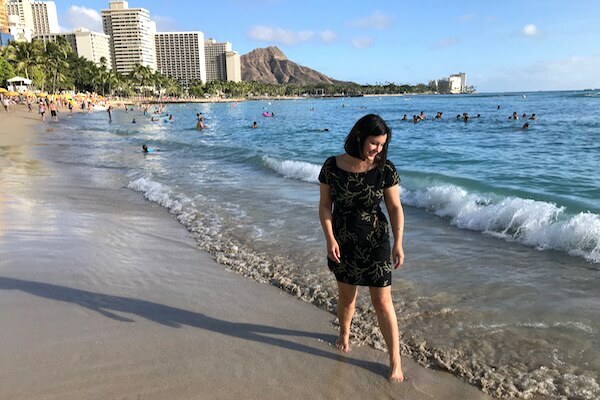 I reached out to learn more about Napili Kai Beach Resort and soon after they graciously invited me for a complimentary stay. I’m thankful to have found this piece of paradise because now I get to share it with you. 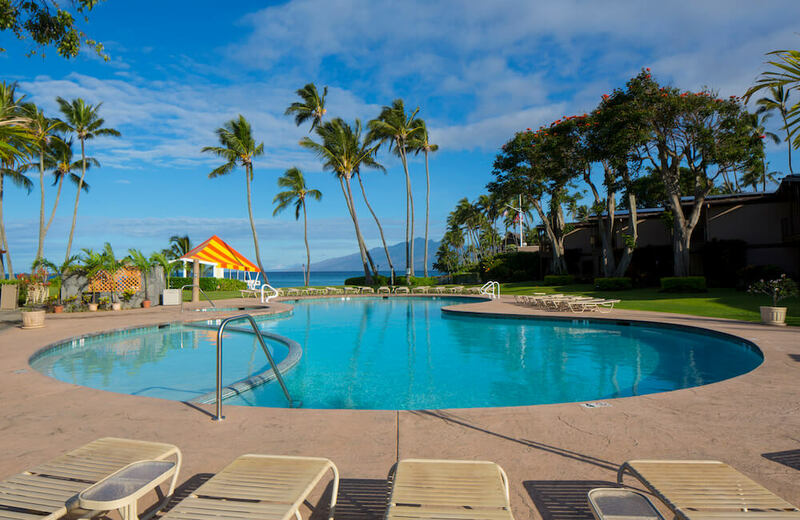 Napili Kai Beach Resort is more than just a resort, it’s an oasis for rest and rejuvenation, an ideal location for creating sun, sand and surf memories with loved ones, and a special place where you’ll feel the aloha spirit alive and well! No resort fees or parking fees, woohoo! The resorts vibe, decor and grounds weave wonderfully together giving Napili Kai Beach Resort a tropical Hawaii feel. The welcome sign and hotel lobby furnishings set an immediate retro tone to the resort. The property is a tropical garden wonderland, the gorgeous vegetation is meticulously cared for by a large team of horticulturalists. Garden-lovers will want to take the free horticultural tour offered weekly. 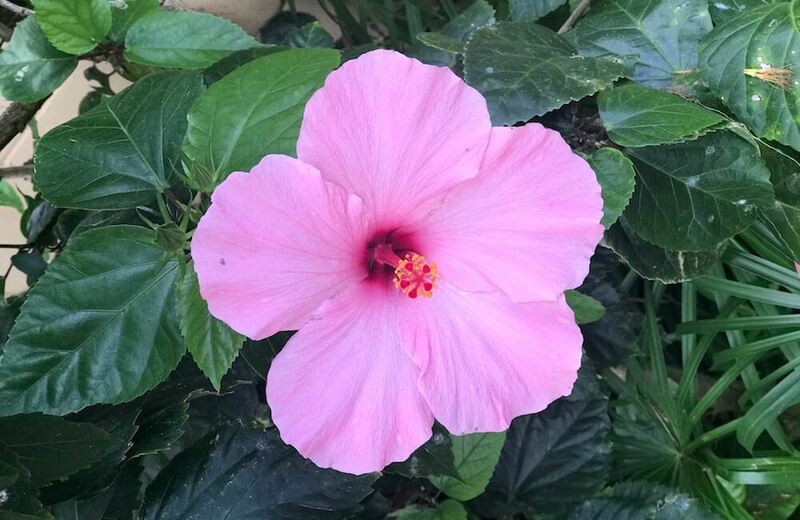 Believe it or not, there are over sixty varieties of hibiscus on show throughout the grounds including rare hybrid varieties. 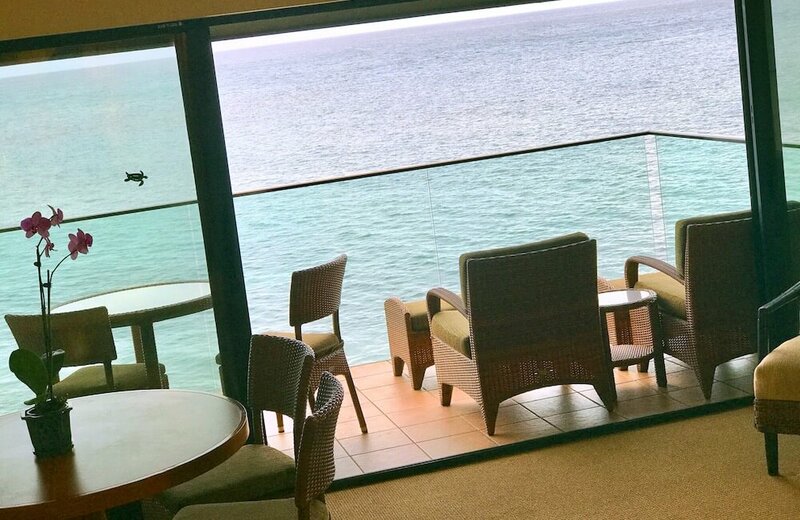 Oceanfront views are afforded to many of the resort suites, and they are epic. 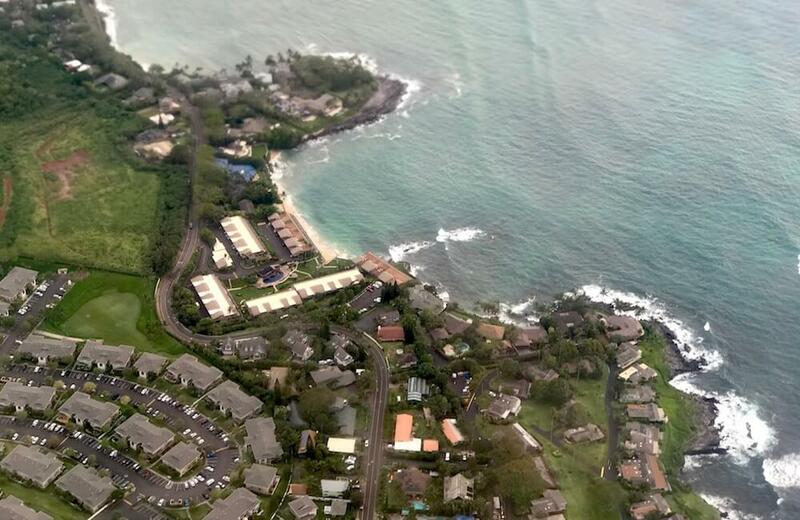 Here’s the stunning view from Puna Point Suite 211, click here to check out the location on the resort map. Because the property was built beginning in the 1960’s many of the buildings have a unique advantage, they’re situated extremely close to the shoreline (newer resorts are forced to build further back from the ocean). 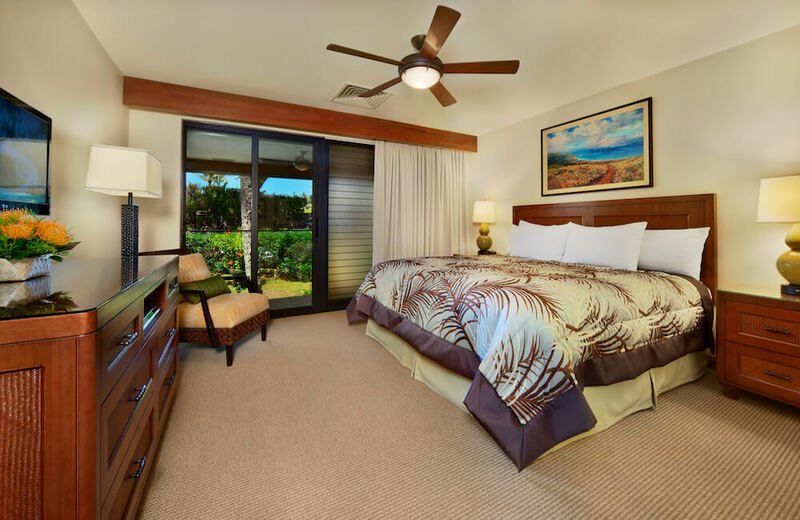 Leaving your bedroom window open at Napili Kai Beach Resort pretty much guarantees you’ll be drifting off to sleep to the sound of lapping water. 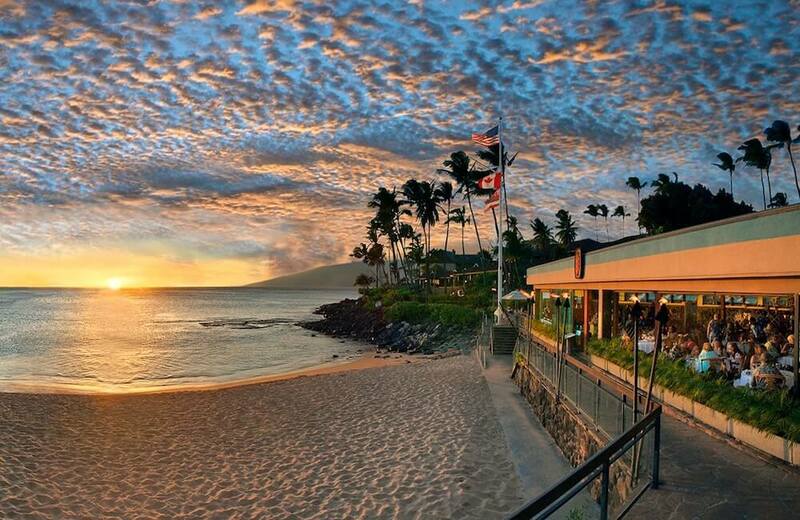 Napili Bay sunsets are famous. If you ask around the island of Maui for the best spots to watch the sunset this bay is guaranteed to come up in the conversation, and rightly so! 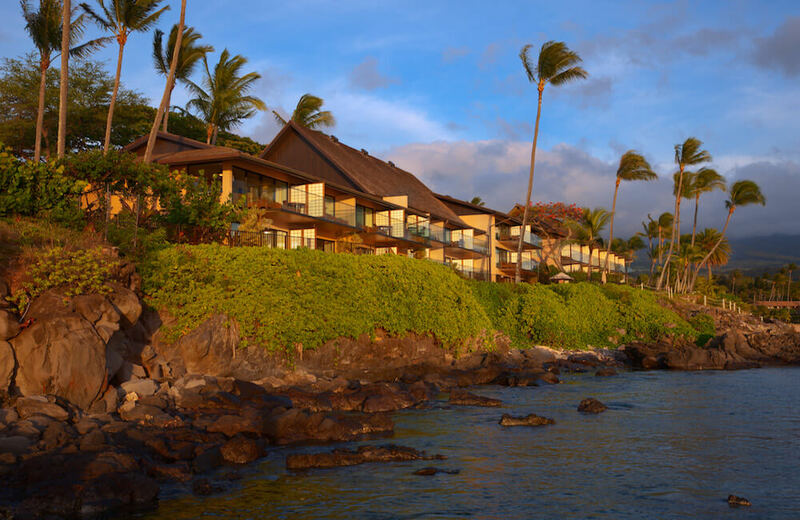 Napili Kai Beach Resort is perfectly positioned to catch these daily spectacles. 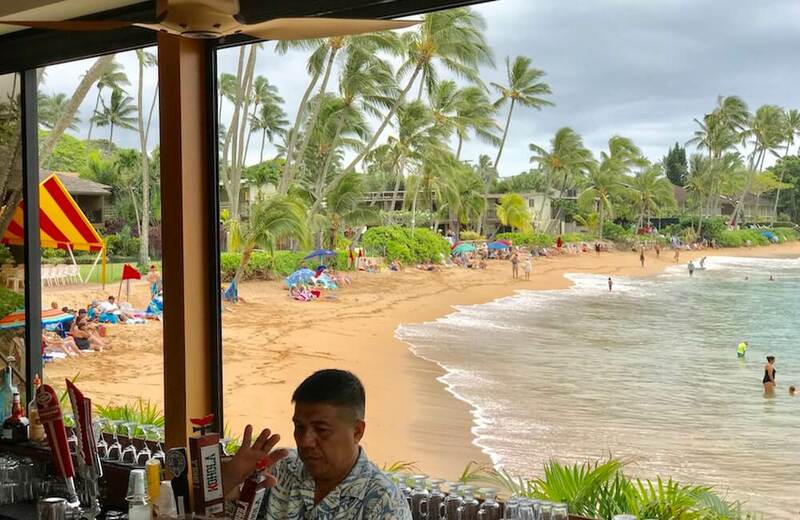 There’s a lovely social element to Napili Kai Beach Resort, every day mid-morning refreshments are made available for guests in the orange-and-yellow-striped Beach Cabana. Guests are encouraged to come on down to the Beach Cabana for a complimentary tea or coffee and the opportunity to enjoy Hawaiian cultural presentations at the same time. The 45-minute program is complimentary for guests and open to the general public with an admission fee of US$10 for adults and US$5 for children, with all funds supporting the work of the Foundation. There’s also an Adult Putting Party on the 18-hole putting green (with US50c cocktails!) each Monday and a hosted Mai Tai Party at the Pool (5:30-6:30pm) and Slack Key Show (7:30-9:30pm) for US$37.99 for adults each Wednesday. Funsies! 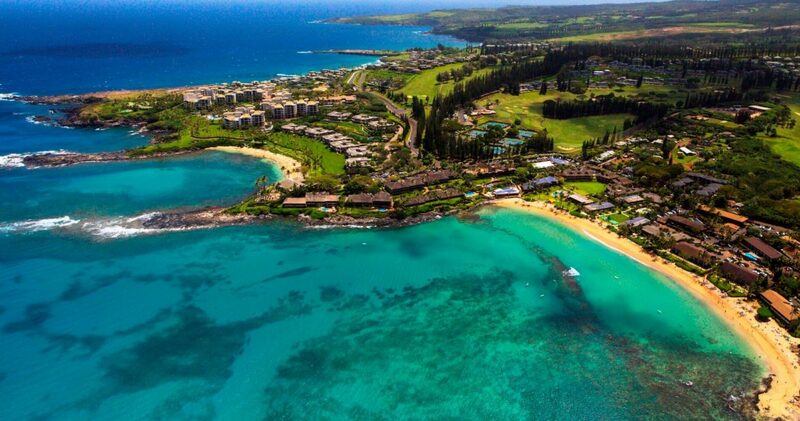 Napili Bay is superb for swimming, boogie boarding, and snorkelling the reef crowd-free! It’s a great habitat for sea turtles. At dawn and dusk, you’ll often see turtle heads bopping above the surface of the ocean. 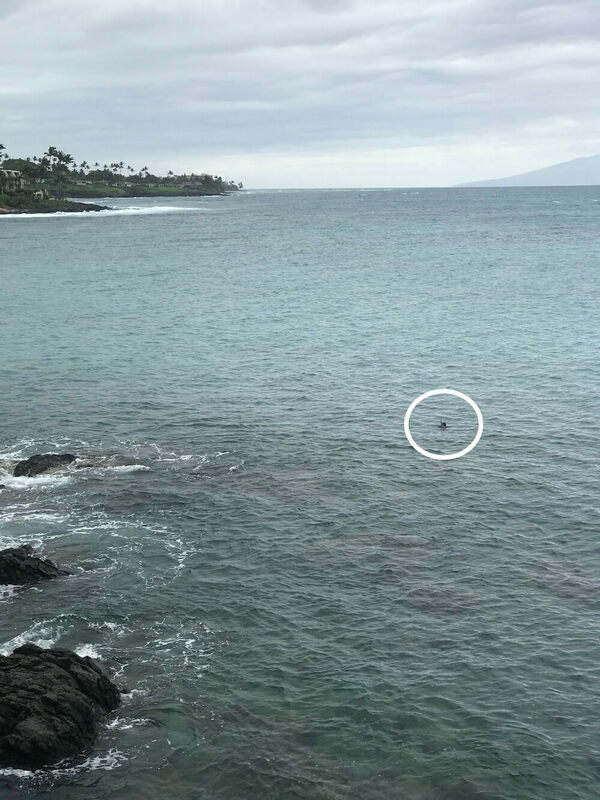 From December through April, Napili Bay is a perfect place to watch for whales. 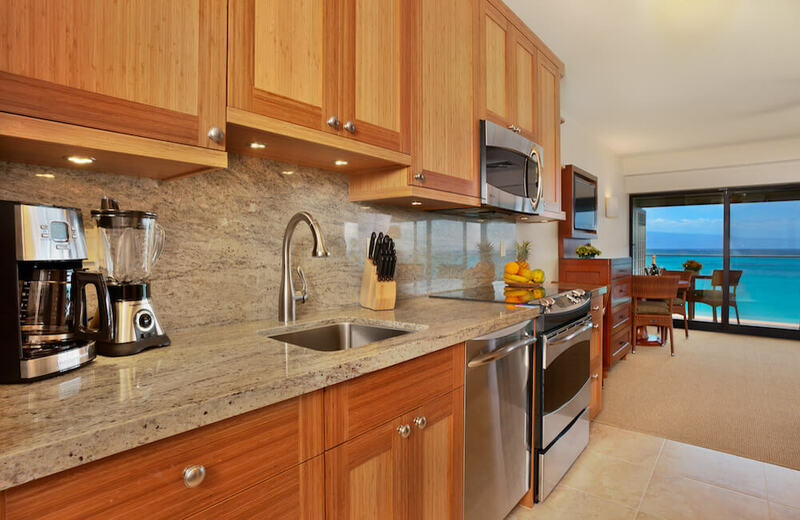 There is a sense of spaciousness around Napili Kai Beach Resort. Almost all of the accommodation comes with kitchen facilities and the handful of rooms that don’t still have a microwave. It’s perfect for, well, nesting LOL. This is the type of resort you’ll want to spend a week or two lounging around on holidays, so having the ability to prepare your own meals is a huge plus as it helps keep meal costs down. 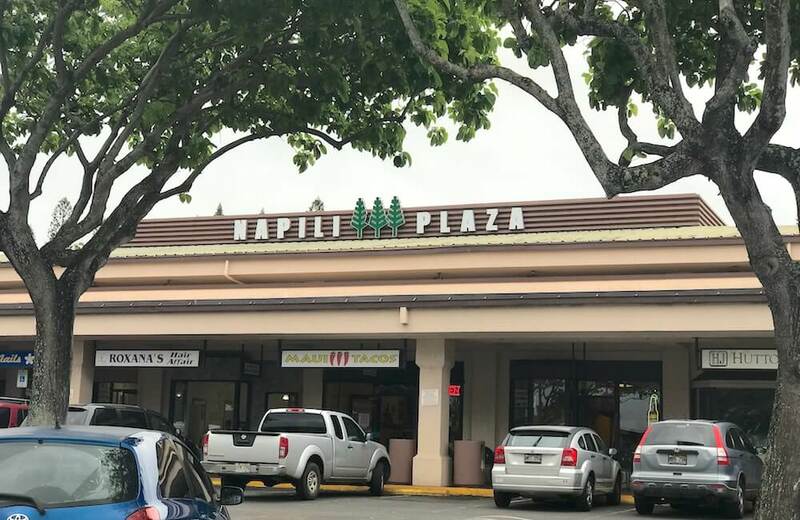 Napili Plaza has a convenient grocery store, only 5-minutes drive down the road. We adored having a night in! We sipped on red wine, baked a roast chicken, watched Netflix on our laptop and chilled. Our cooked brekkie was the perfect way to start the day, we were in Hawaii heaven. The resort’s on-site restaurant, Sea House, has an incredibly good bar! 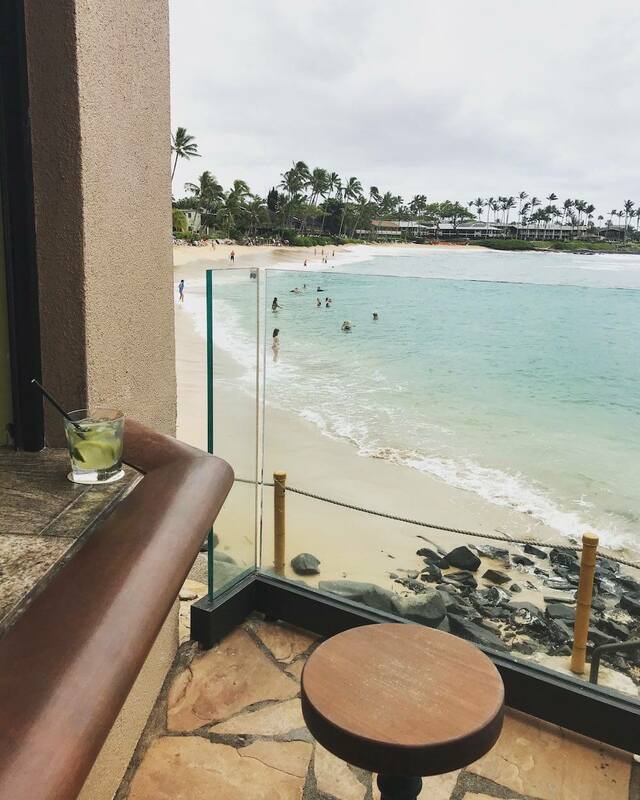 It comes with one of the best bar views in all Hawaii. You won’t want to miss Whale Watcher’s Happy Hour, it runs from 2:00-4:30 pm. Sure, the drinks are discounted but the food was the highlight! 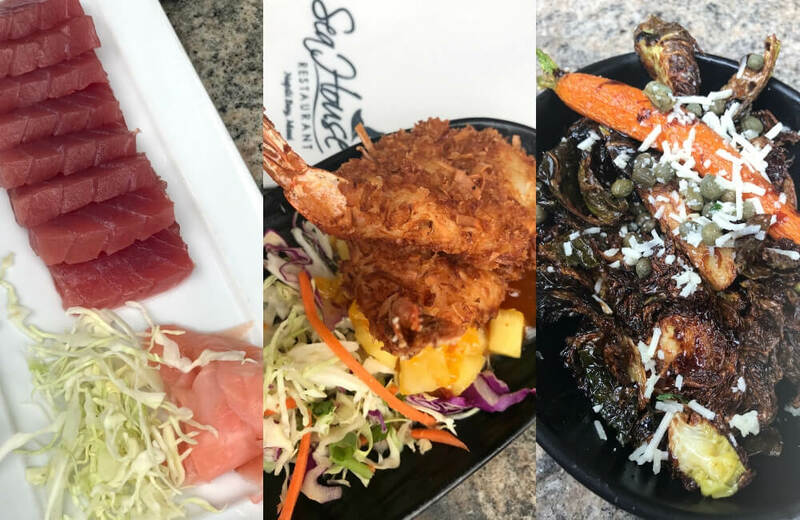 From left to right, we enjoyed Sashimi (special request, not on the menu), Coconut Shrimp, and Balsamic Glazed Brussel Sprouts. Sea House was so good for Happy Hour that we booked a table on our way out for dinner that evening. 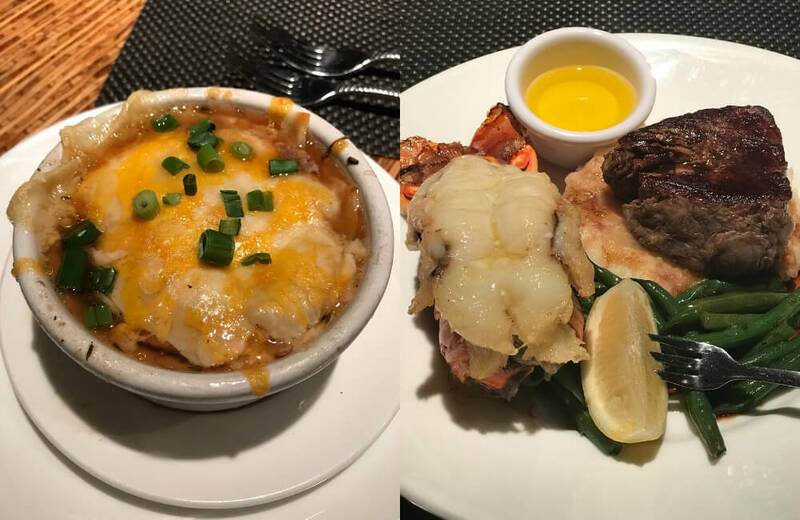 French Onion Soup to start + Surf’n’Turf = one happy belly! 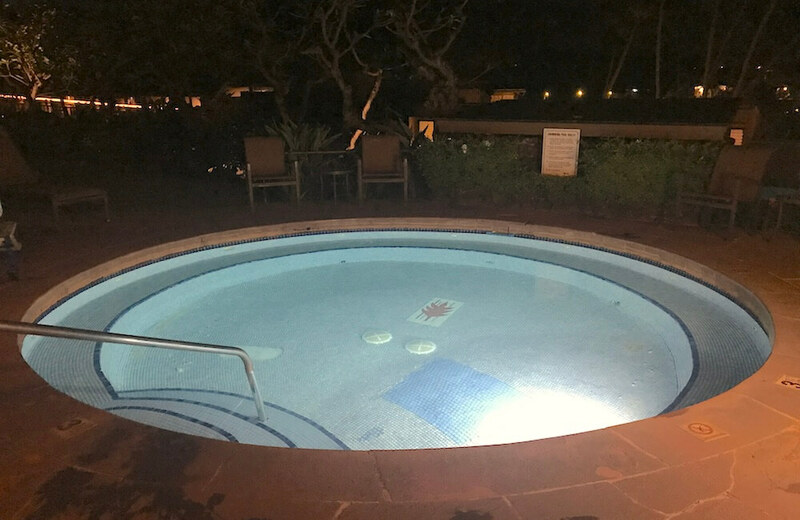 After only a short stay at Napili Kai Beach Resort, I totally get why year-after-year guests return to this beautiful property on Maui. 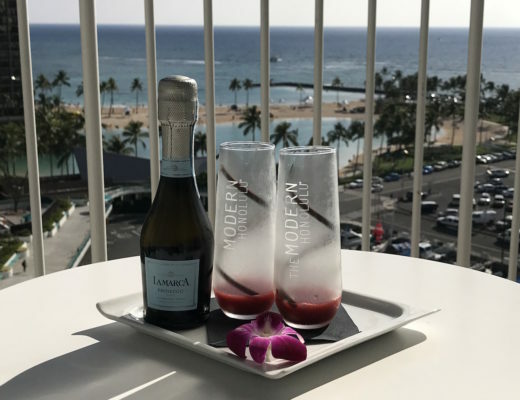 It’s low-key luxury at it’s best, much less commercial than other Hawaii brand-name resorts and has that feeling of being your home away from home. Napili Kai Beach Resort hugs Napili Bay, situated on Maui’s north-west coastline in between the more well-known areas of Kaanapali and Kapalua. 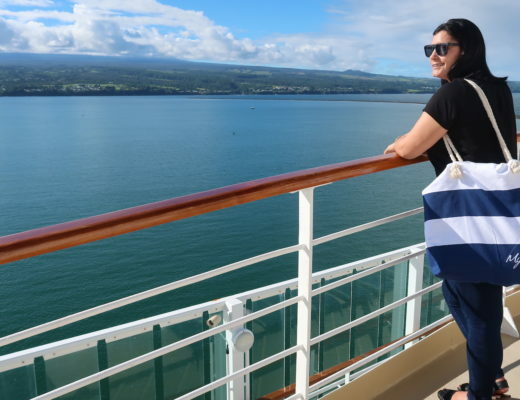 From Maui’s major airport, Kahului Airport, Napili Kai Beach Resort is an estimated 60-minute drive (51 km/32 mi). Airport transfers are easily organized, you can also hire a car (I prefer Alamo) or catch a taxi (I prefer CB Maui Taxi Service), Uber or Lyft. 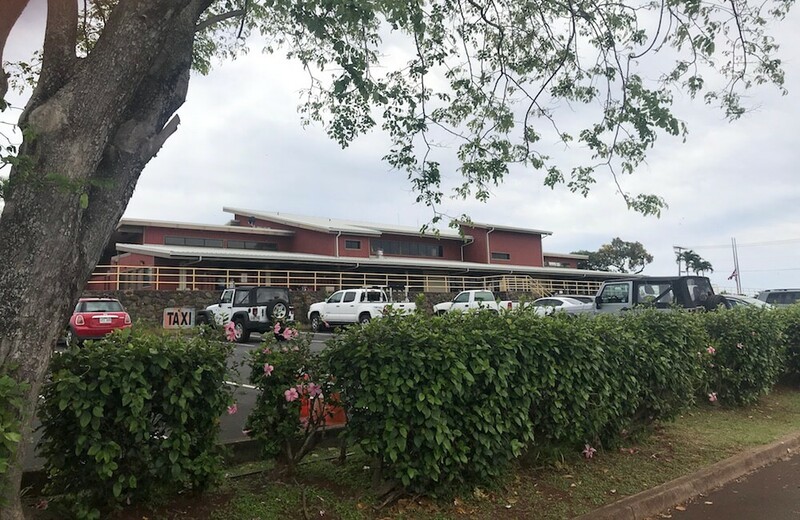 Travellers can also fly into Maui’s regional airport, Kapalua Airport, a short 10-minute drive from Napili Kai Beach Resort (5 km/3 mi). Small aircraft operate out of this airport and airfares are usually more expensive. There are no public transportation or car rental companies, however, many car rental companies service the airport from off-airport facilities (I prefer Alamo). A taxi can be arranged (I prefer CB Maui Taxi Service) or use Uber or Lyft. 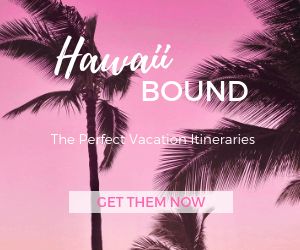 SPECIAL OFFER: Hawaii Admirer fans who are new to Lyft can enter Lyft Promo Code “ASHLEE538536” or click here for Lyft credit towards your first ride in Honolulu.